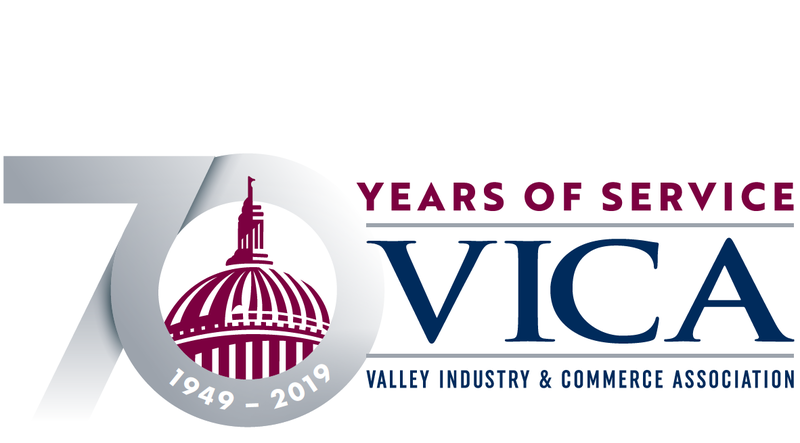 VICA’s decision making process is based on our policy committees developing and recommending positions on a variety of legislative issues impacting business for consideration by the board of directors. Issues are assigned to the appropriate policy committee(s), and all ballot measures are also reviewed by the Government Affairs Committee. Your input is appreciated! Sign up here for committee meeting dates, agendas and policy updates. Visit the Calendar for details on upcoming meetings. Please remember to RSVP to Cathy@vica.com for all committee meetings. Dedicated to developing VICA’s membership base, the Ambassador Committee is responsible for identifying and reaching out to businesses that would benefit from membership in VICA. In addition to assisting the staff in greeting and introducing guests and members at VICA events, the committee also explains the benefits of VICA membership to prospective members and encourages existing members to take full advantage of their investment in the organization’s work. The chair for 2019 is Pam Berg (MP Printing & Mailing), and the co-chairs are Paula Bahamon (Mission Valley Bank) and Andrew Sisolak (Boy Scouts of America). Meetings are held every other month. The dates for 2019 are Tuesdays, January 29, March 26, May 28, July 23, September 24, and November 26 from 8:30 to 10 a.m. Focused on Los Angeles area airports and their stakeholders, the Aviation Committee deals with issues related to the general and business aviation industries. Membership includes aircraft manufacturers, local businesses that serve the airports, and consultants specializing in the aviation industry. Meetings include regular updates from leadership at the Valley’s airports – Van Nuys (VNY), Bob Hope (BUR) and Los Angeles International (LAX) – as well as discussion of FAA, Congressional and municipal policymaking. The chair for 2019 is Niall Mulcahy (Signature Flight Support) and the co-chairs ar Paul Haney (Englander, Knabe & Allen) and Ruben Zaragoza (Southwest Airlines). Meetings are held quarterly at Aerolease Van Nuys East (7943 Woodley Ave., Van Nuys), and lunch is provided courtesy of the Aeroplex Aerolease Group. The dates for 2019 are Wednesdays, March 6, June 5, September 4, and December 4 from 12 noon to 1:30 p.m. Covering a broad range of issues affecting early education, K-12, higher education and workforce development programs, the Education Committee focuses on state budgeting for LAUSD, CSUs, LACCD and UCs, as well as regulation of private postsecondary education institutions. Federal regulation of K-12 curriculum and linked learning are also frequently discussed. The chair for 2019 is Marilyn Koziatek (Granada Hills Charter School) and the co-chairs are Rafael De La Rosa (California State University, Northridge) and Elsa Jacobsen (Child360). Meetings are held quarterly at the VICA office (16600 Sherman Way, Suite 170, Van Nuys) in the Valley Presbyterian Hospital Conference Room. The dates for 2019 are Thursdays, February 7, May 2, August 1 and November 7 from 8:30 to 10 a.m.
With an emphasis on protecting and attracting film, television, commercial and music recording production in the Los Angeles area, the Entertainment Committee deals predominately with local and state issues that affect film and television production companies, prop houses, amusement parks, and media providers. Meetings feature discussions with local and state officeholders and their senior staff, as well as ongoing advocacy on the industry’s core issues. The chair for 2019 is Philip Sokoloski (FilmL.A., Inc) and the co-chairs are Pam Elyea (History for Hire) and Scott Mills (The Garland). Meetings are held at the VICA office (16600 Sherman Way, Suite 170, Van Nuys) in the Valley Presbyterian Hospital Conference Room. The dates for 2019 are Thursdays, March 7, June 6, September 5 and December 5 from 8:30 to 10 a.m. The EE&U Committee provides organizational guidance on environmental regulation, utility ratepayer protection, and public investment in clean and green technology. The committee focuses on protecting and advancing the interests of local and regional public and investor-owned utilities and the telecommunications industry. The chair for 2019 is Mary Rosas (California Resource Corporation) and the co-chairs are Lily Lee (Waste Management) and Noah Perch-Ahern (Greenberg Glusker Fields Claman & Machtinger). Meetings are held quarterly at the VICA office (16600 Sherman Way, Ste. 170, Van Nuys) in the Valley Presbyterian Hospital Conference Room, and lunch is provided courtesy of Metropolitan Water District. The dates for 2019 are Thursdays, February 14, May 9, August 8 and November 14 from noon to 1:30 p.m. The Government Affairs Committee is the catch-all committee for public policy matters with the potential to impact the overall business community. Meetings feature discussions on major local, state and federal legislation related to tax policy, worker relations, government efficiency, election regulation and legal reform, among others. Consideration of ballot initiatives also originates in this committee. The chair for 2019 is Christine Aghassi (Dolphin Group) and the co-chairs are Richard Benbow (UCLA Government and Community Relations) and David Gershwin (David Gershwin Consulting). Meetings are held monthly and are hosted by Penny Lane Centers at Witherbee Hall, 15314 Rayen Street, North Hills, CA 91343. The dates for 2019 are Wednesdays, January 16, February 20, March 20, April 17, May 15, June 19, July 17, August 14, September 18, and October 16 from 8:30 to 10:00 a.m. Covering issues facing the relationship between employers, the health insurance industry and hospitals, the Healthcare Committee deals with major state and federal legislation and interprets the federal Patient Protection and Affordable Care Act (PPACA) and medical litigation. Meetings typically feature decision leaders from government agencies and nonprofit organizations on the implementation of PPACA, as well as discussion of state and federal legislation that impacts employer insurance coverage. The chair for 2019 is Michael Tou (Providence Health & Services) and the co-chairs are Jaime Garcia (Hospital Association of Southern California) and Carol Kim (Health Net Inc.). Meetings are held quarterly at the Valley Presbyterian Hospital (15107 Vanowen St., Van Nuys), and lunch is provided courtesy of the hospital. The dates for 2019 are Wednesday, March 14, June 13, September 12, and December 12 from noon to 1:30 p.m. The International Trade Committee focuses on domestic and international policy priorities that affect foreign economic development or diplomatic relations. The Committee hosts discussions with Consul Generals and business leaders on ensuring strong international business and foreign affairs. The chair for 2019 is Jeff Daar (Daar & Newman) and the co-chairs are Vaughn Lucas (JPMorgan Chase & Co.) and Claudette Moody (WSP USA). Meetings are held at least twice a year and as needed. The Labor & Employment Committee deals with labor regulations and policies that affect employers at a city, state and federal level, including wage, hour, scheduling, worker’s compensation, and other issues. Meetings are held quarterly at the Hilton Universal City (555 Universal Hollywood Drive) and breakfast is provided by the hotel. The dates for 2019 are Wednesday, February 6, May 1, August 7, and November 6 from 8:30 to 10:00 a.m. The Land Use Committee provides policy guidance on community planning and development-related legislation. With major reforms underway at the local and state level, meetings feature prominent officials from local and state planning agencies, as well as discussion of major zoning code changes, redevelopment agency successor programs and California Environmental Quality Act amendments. The committee also recommends commercial, industrial and residential projects of regional significance for VICA support. The chair for 2019 is Edgar Khalatian (Mayer Brown) and co-chairs are David Goldberg (Armbruster, Goldsmith & Delvac) and Jack Rubens (Sheppard Mullin). Meetings are held every other month at The Garland (4222 Vineland Ave., North Hollywood), and breakfast is provided courtesy of the hotel. The dates for 2019 are Tuesdays, February 12, April 9, June 11, August 13, October 8 and December 10 from 8 to 10 a.m. The Manufacturing Committee is focused on promoting manufacturing jobs in the San Fernando Valley and identifying opportunities and barriers for manufacturers. Meetings are held at least twice a year, or as needed. The Non-Profit Committee is focused on the unique operating and policy challenges for non-profit organizations in the Valley. The Non-Profit Committee chair for 2019 is David Adelman (Greenberg & Bass) and the co-chairs are Tamika Farr (El Centro de Amistad) and Holly Rasey (New Horizons). Meetings will be held quarterly and are hosted by the Child Care Resource Center on January 10, April 11, July 11, October 10 from 8:30 - 10 a.m.
Tasked with consideration of mass transit and roadway planning, the Transportation Committee discusses local, regional, state and federal legislation and rulemaking affecting the L.A. Metro System, the 101, 405 and 5 freeways, and the municipa­­­l arterial street systems of the Los Angeles region. Leadership from Metro frequently presents to the committee on the progress of Metro projects and the implications of legislation to the system construction financing. The chair for 2019 is Francine Oschin (Oschin Partners) and the co-chairs are Steven Kats (Parsons) and Coby King (High Point Strategies). Meetings are held on Tuesdays, January 8, March 12, May 14, July 9, September 10, and November 12 from 8 to 10 a.m. hosted by The Garland (4222 Vineland Ave., North Hollywood).